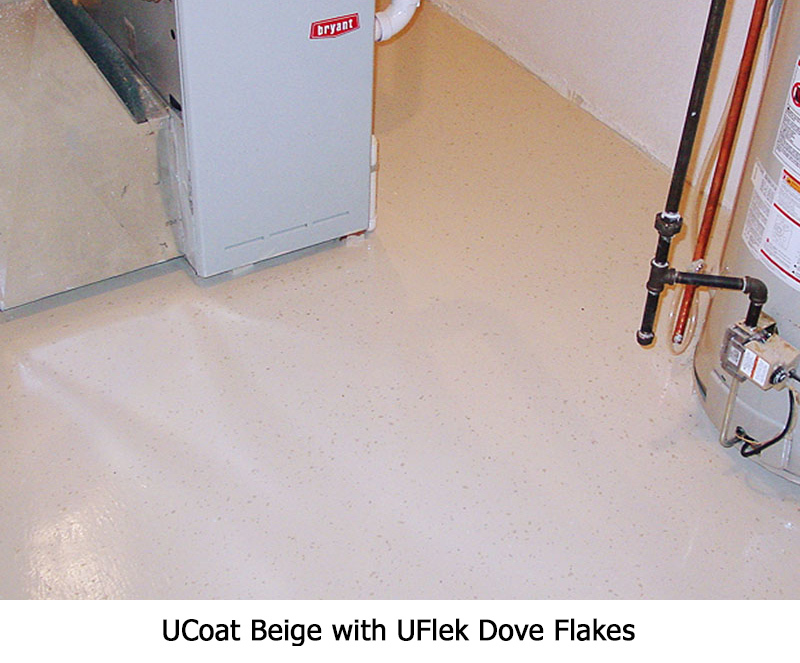 The UCoat with UFlek system is a three coat system containing our UCoat water based epoxy, UGloss water based aliphatic high performance urethane and decorative UFlek flakes. 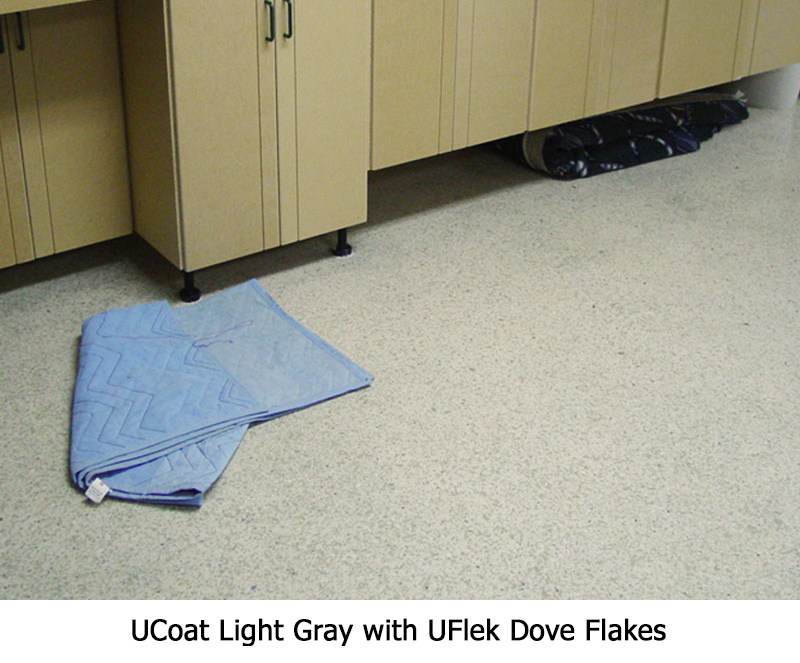 This system is ideal for areas like offices, locker rooms and basements as it is odor free, non-flammable and dries quickly to reduce downtime. 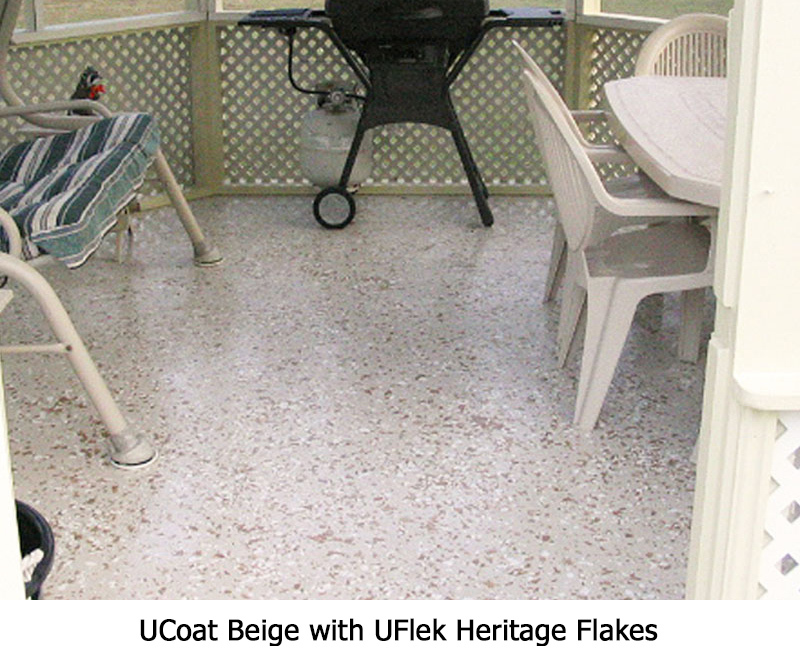 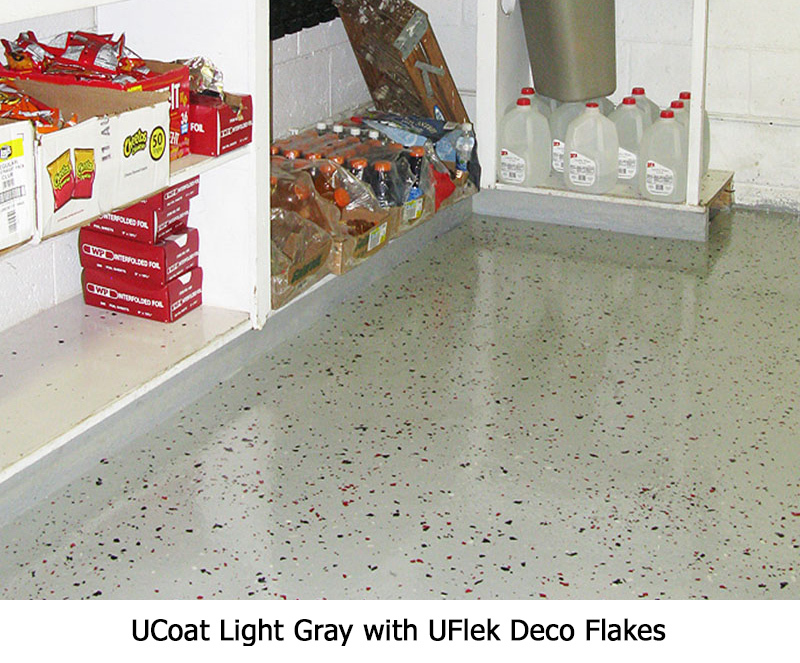 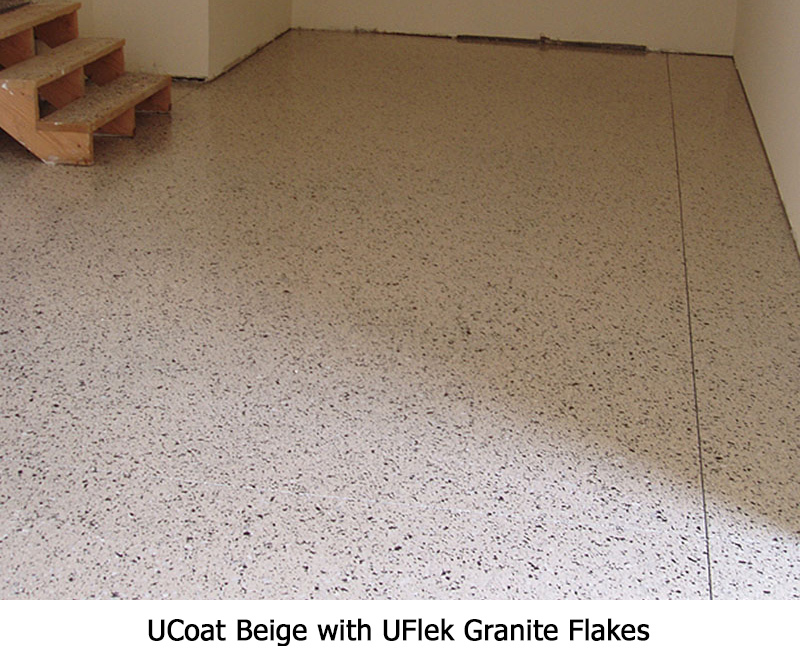 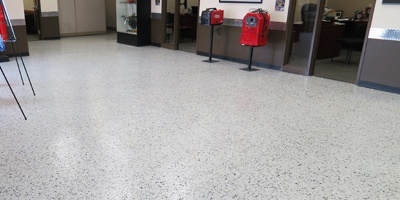 The UCoat with UFlek system provides a semi-gloss to high gloss finish and with the UFlek flakes creates a terrazzo like finish camouflaging most imperfections in the substrate.